The 35-year-old actress – who turned heads at the Royal Wedding in a custom-made Vivienne Westwood lavender suit – says she hasn’t always been the fashionista the public has grown to love and that there are many embarrassing style moments that she’d like to forget. Priyanka confessed: “My teens were a little bit more tight pants, ponytails, hoops, puffy jackets. I was that girl in the 90s. The ‘Quantico’ star now thanks stylist Mimi Cuttrell – who’s known for her work with models Gigi and Bella Hadid – for not being afraid to take risks when it comes to trying different outfits. 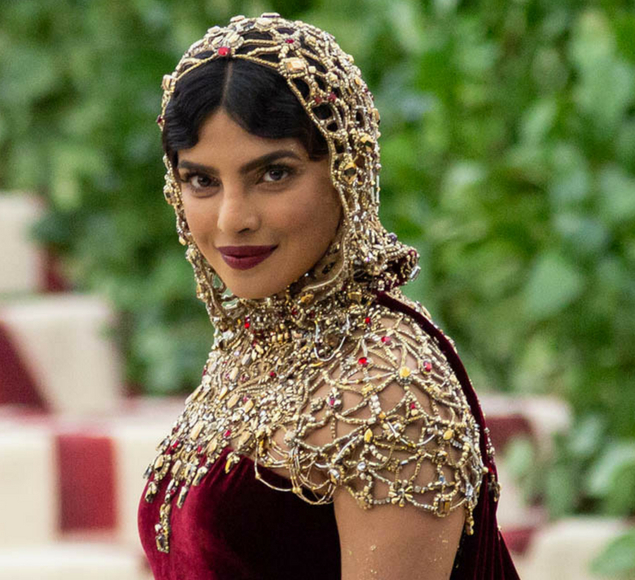 A recent iconic moment for Priyanka was her Ralph Lauren ensemble at the Met Gala, where all eyes were on her as she stepped onto the red carpet in a deep burgundy velvet gown and jaw-dropping gold beaded hood, which took 250 hours to create. The Indian-born beauty – who’s rumoured to be dating singer Nick Jonas – went on to explain how her style has evolved with age and that she now sticks to what feels most authentic to her. She revealed: “I think I’ve finally found my feet in my 30s, as a woman and as a fashionista.